The Miracle League is very appreciative to Newton Federal for the $1.5 million loan that made it possible for construction to begin on the Complex. Thank you again, Newton Federal, for your partnership with the Miracle League of Newton County! 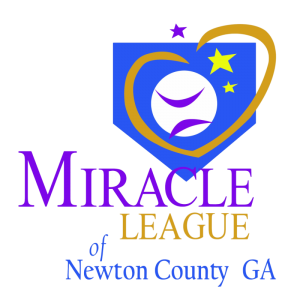 The dream to bring a Miracle League Baseball/Playground Complex to Newton County could not have been possible without all of the love, support, partners, and donations that have been received over the years. We are extremely grateful for every penny given by every person/company. Although every individual’s name or company may not be listed on this page, we extend our deepest gratitude to everyone who made this “Dream” a reality. Our tag reads: “Every Child Deserves a Chance to Play Baseball” …and through the efforts of so many, this will soon be true for every child in Newton County. Thank you to ALL who have supported such a wonderful cause!